Overall, 4D and Future Group (Future Lifestyle Fashion and Future Enterprise) bagged 7 awards each in different categories. Restore Design walked away with 4 awards (including 3 “Gold”) while Group DCA won 3 awards and Studio Lotus won 2 awards. 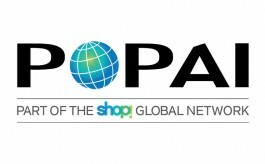 The prestigious “Store of the Year” award was won jointly by 4.4 Design and Sapras Architect. In the glittering evening of the 10th edition of the prestigious VM&RD Awards, which took place on the 2nd day of 11th edition of In- Store Asia at Bombay Exhibition Center, Mumbai, Four Dimensions Retail Design and Future Group (Future Lifestyle Fashion and Future Enterprise) walked away with maximum number of awards amounting to be 7 awards each. Restore Design bagged 4 awards in total, and also stood out by winning 3 Gold awards this year while Group DCA walked away with 3 awards and Studio Lotus with 2 awards. 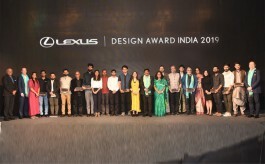 The prestigious award for “Store of the Year” was bagged jointly by 4.4 Design for the Anita Dongre Flagship store (winner of “Indian Fashion Apparel” category too) and Sapras Architect for the Red Fort Harley Davidson store. The Best Stall Design award at In-Store Asia 2018 Expo went to Focus Lighting Ltd., while 4D was the runner up in this category. As a new segment in the event this year, In-Store Asia Retail Quiz presented by Retail4Growth added some interesting buzz among the delegates and the lucky winner Somdutt Sarkar, Design Manager, P&G walked away with an iPad. 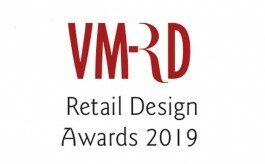 The 10th edition of VM&RD Awards received a whopping number of 366 entries from 105 companies across 22 varied categories of retail design and visual merchandising and gave away a total number of 63 awards.